I normally wouldn’t blog on the same topic twice in a row. However, the topic of forgiveness is a prickly one and I received various comments from others on my most recent post, so I felt compelled to write about it … one more time. It seems that for some folks, there are situations in life that they believe are unforgivable. 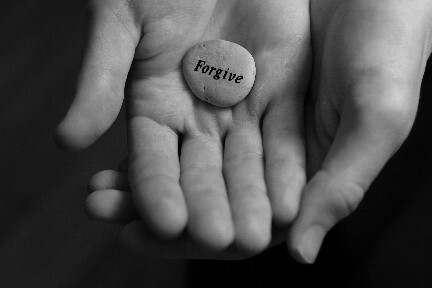 Who is forgiveness truly for … the victim or the offender? When we hold onto wrongs done to us, it damages us … not the offender. Each and every one of us needs to make our own decisions about how we choose to live our lives. And we are free to choose whatever meaning we apply to the events (both good and bad) that unfold in our lives. Resentment can kill you from the inside out. Maybe someone out there feels justified in holding onto a past event or circumstance. That’s okay… obviously they are where they need to be … I am not judging anyone. In some way, by holding on, it is filling a need. For myself … I want to be free from all of the old beliefs, past events, and any poor decisions that I or anyone else made that impacted me in a negative way. I may feel that those events may have taken something from me at that moment in time … way back when. I’m just not sure that I am willing to let anyone or anything steal away one more second of my precious time here on earth. On the other hand, that past event may have helped me to decide who I am today … I’m just not willing to allow it to define who I am today. It was an event … it isn’t who I am. Yes, forgiveness can be a prickly topic and at some point it’s best to put it down and let it go. PreviousPrevious post:Forgive and …NextNext post:Isn’t that Special …?